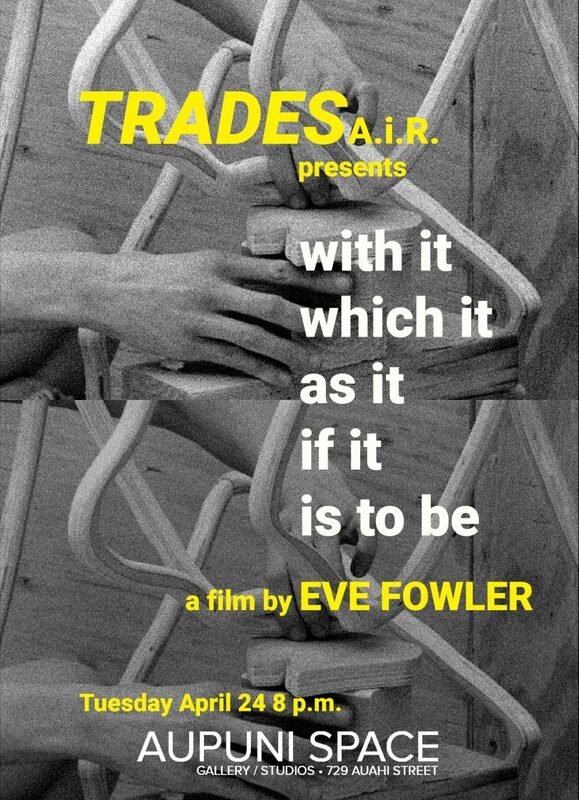 FILM SCREENING: “with it which it as it if it is be” by Eve Fowler – TRADES A.i.R. Join us for a free screening of “With it which it as it if is to be”, a short film by Eve Fowler. The artist will be present, refreshment and discussion provided. Suggested: bring a mat or blanket to sit on.